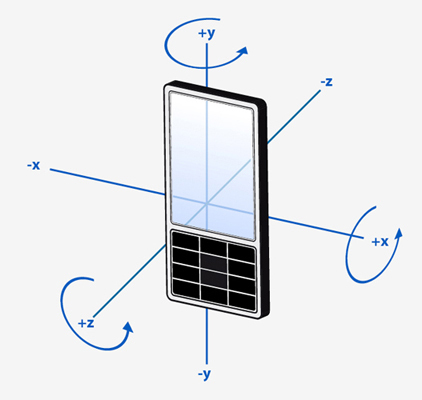 The reading contains 3 values, measured in degrees per second that define the movement of the device around the x, y and z axes. Unlike QRotationReading, the values represent the current angular velocity rather than a fixed rotation. The measurements are in degrees per second.